The classic kid’s EMU Australia Wallaby Mini boot gets a metallic update. High shine and shimmery, the boots are made from Australian Merino wool lined suede on a supportive and grippy outsole. Sitting just above the ankle they are a fun and functional boot for everyday. Metallic high shine turns up the ante on our classic kid’s Wallaby Mini boots. Made with natural suede lined with Australian Merino wool these comfortable boots surround little feet in natural fibres delivering a warm, soft and durable fit. 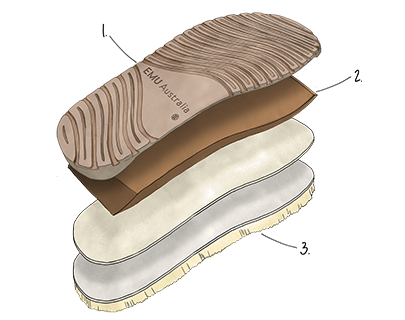 A moulded heel cup and a dual layered EVA and rubber outsole delivers unmatched comfort.